A great place for the whole family, couples or just to pootle by yourself. We have recently had three generations of family over to visit. 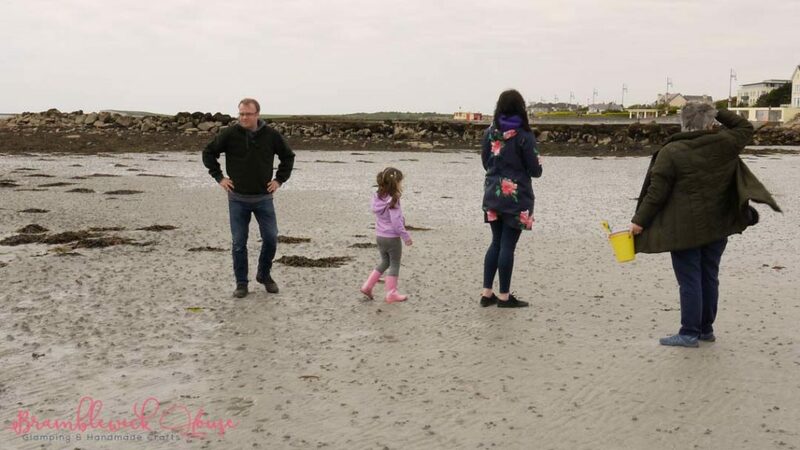 Each of them enjoyed their visit to Salthill. 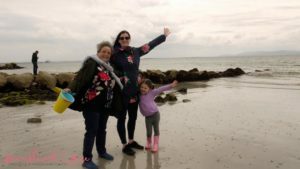 We had initially intended to spend time on the beach, grab some food and then hit the shops in Galway for things for our visitors to take home. 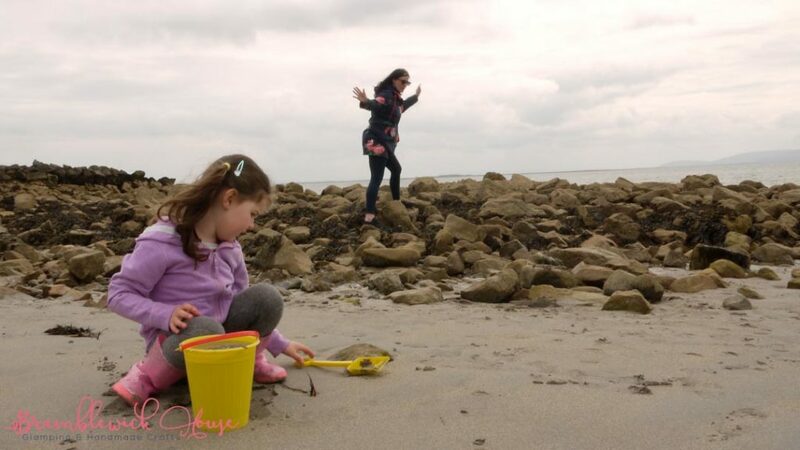 In reality, we had so much fun on the seafront we got carried away with the time and had to miss out the city centre. I don’t think anybody minded. Our first port of call was to grab drinks in a restaurant right on the sea front and plan our shenanigans. There is a number of different places but we liked the one we found so much we later came back for lunch. We then wandered down the road to check out a shop for buckets and spades and the kind of souvenirs the sea-side specialises in selling. Suitably equipped, we headed for the sand. Although there were several people about (we did go on a week day), the beach wasn’t heaving with people. This meant that there was plenty of space for the family to spread out whilst still being able to keep an eye on our four-year-old niece. 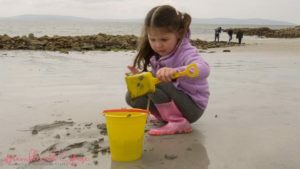 The bucket and spade came in really useful for our little person to dig in the sand although the urgent need put them to use meant she started as soon as she stepped off the access ramp. Experience soon taught her that dry sand doesn’t make good castles so she moved further onto the beach testing out different levels of wetness. 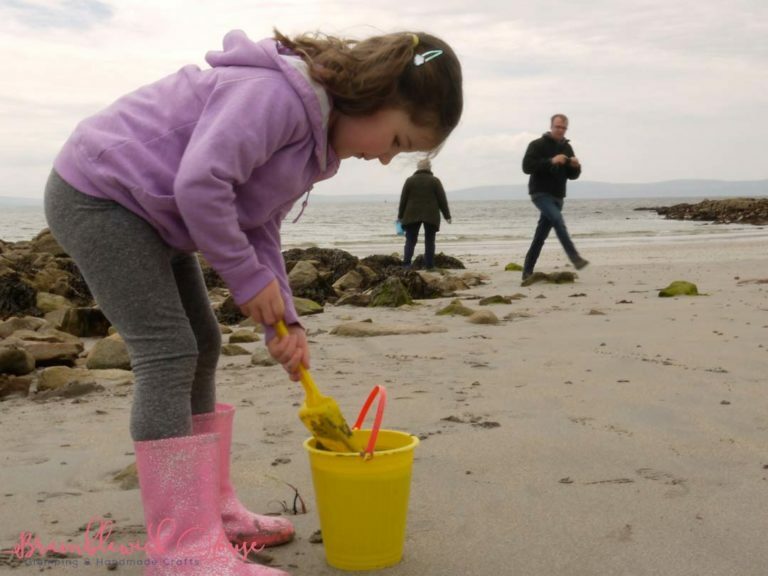 It is amazing how much time can be spent doing this The bucket also proved useful for carrying any little shells that could be found which were put back before we left. 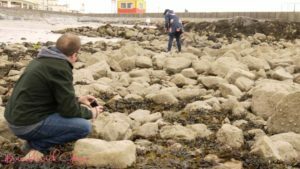 The jumbles of rock that cover areas of the beach provided ideal ground for finding small crustaceans, the sort that just have to be investigated and watched very closely. We even found a sea snail.